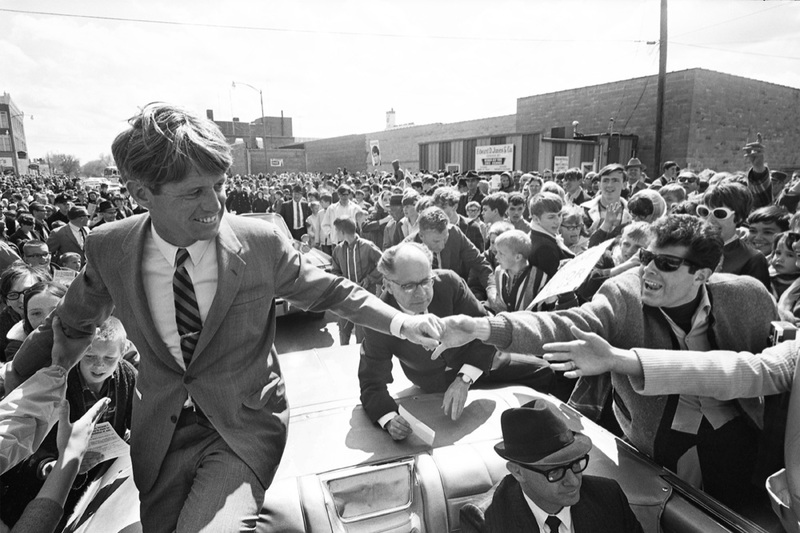 Robert Kennedy agonized for months about whether or not he should run for president. When he finally made his announcement in March 1968, Martin Luther King Jr. felt confident that he could win, and resolved that RFK would be the first politician he would officially endorse. 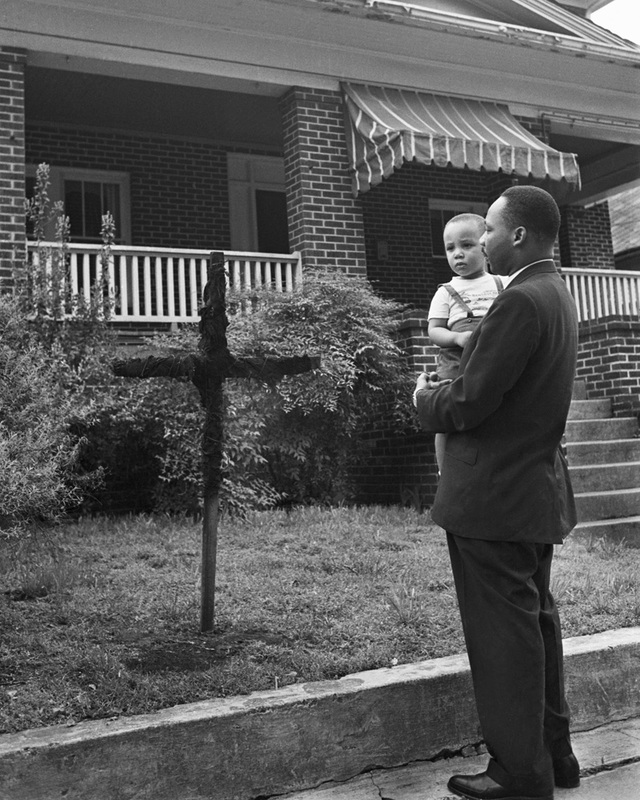 In February 1960, Dr. King moved his family from Montgomery to Atlanta so he could devote more time to the Southern Christian Leadership Council and its freedom struggle. Two months later, the Ku Klux Klan set a cross ablaze on their front lawn. 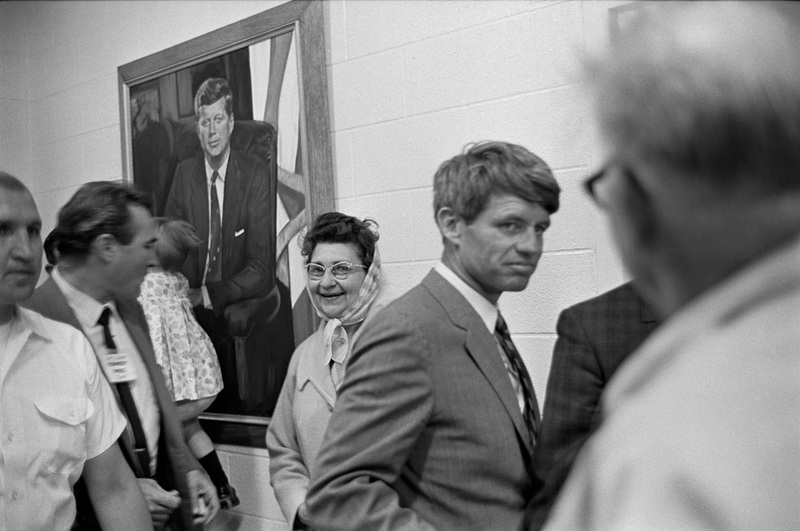 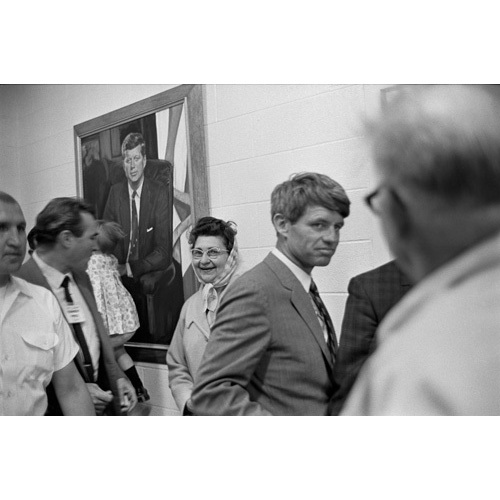 Kennedy had little time to prepare for his presidential campaign, and without delegates or organization, his overwhelming popular appeal proved invaluable. 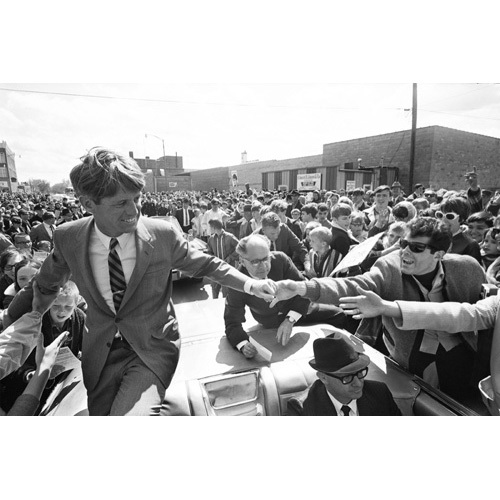 He drew frenzied crowds like a rock star but was slightly uneasy with the adoration, always privately uncertain whether it was for him or his late brother. 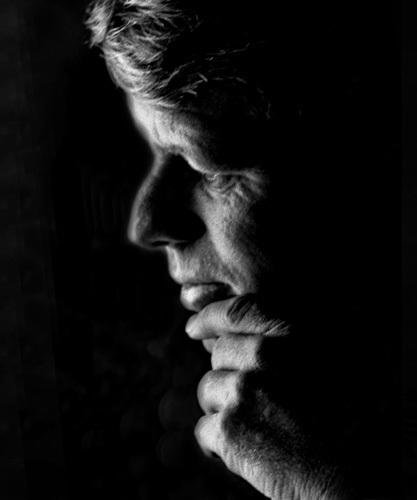 February 22, 1956. 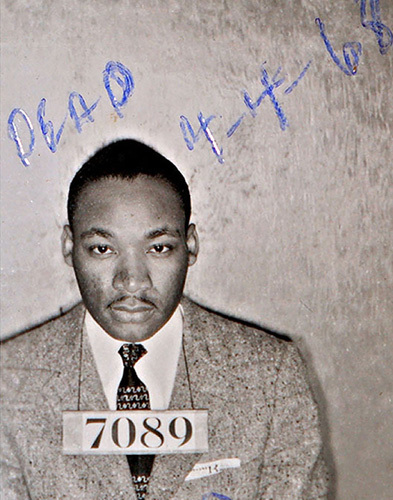 Eight weeks into the Montgomery Bus Boycott, Martin Luther King Jr. and 88 Montgomery Improvement Association leaders are indicted by a grand jury for violating Alabama’s anti-boycott law. Robert F. Kennedy aboard his campaign plane en route to the West Coast prior to his campaign stops in California, just days before his assassination in Los Angeles, June 1968. Two thousand miles from the segregated counties of Alabama, the Watts Riots began as a minor scuffle after a black motorist in Los Angeles was arrested on suspicion of driving while intoxicated. 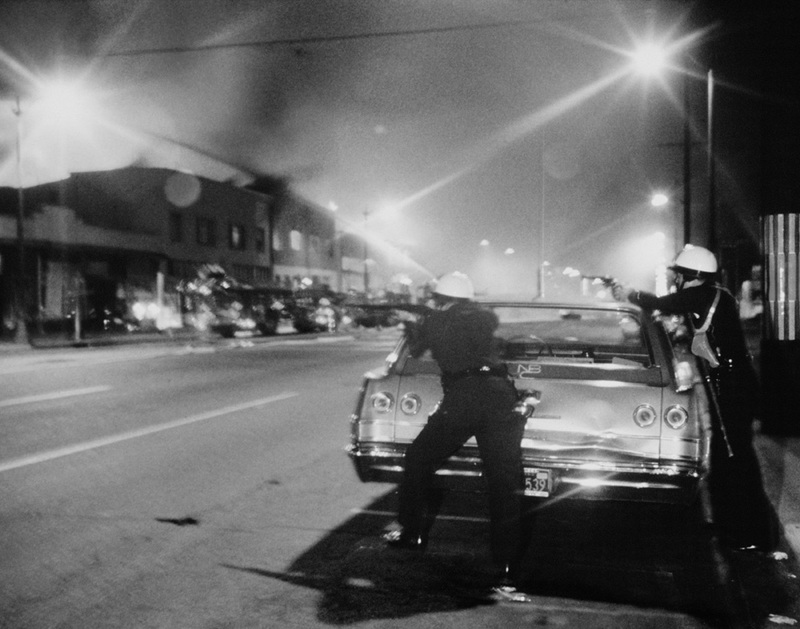 Six days of arson and looting followed, requiring the intervention of 4,000 California Army National Guard troops and resulting in 34 deaths and more than 1,000 injuries. 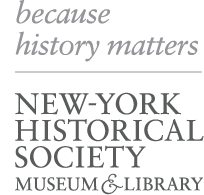 Ephemera, such as this button, attests to the inspirational work of the two slain leaders and how New Yorkers celebrated and remembered them. 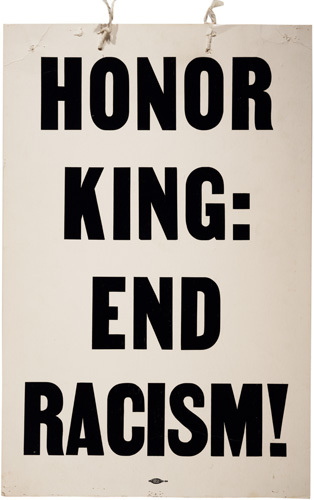 Coretta Scott King and three of her children led some 20,000 marchers through the streets of Memphis on April 8, 1968 holding signs that read, ”Honor King: End Racism,” Union Justice Now,” or, simply, ”I Am A Man.” National Guardsmen lined the streets, perched on M-48 tanks, with bayonets mounted, as helicopters circled overhead. 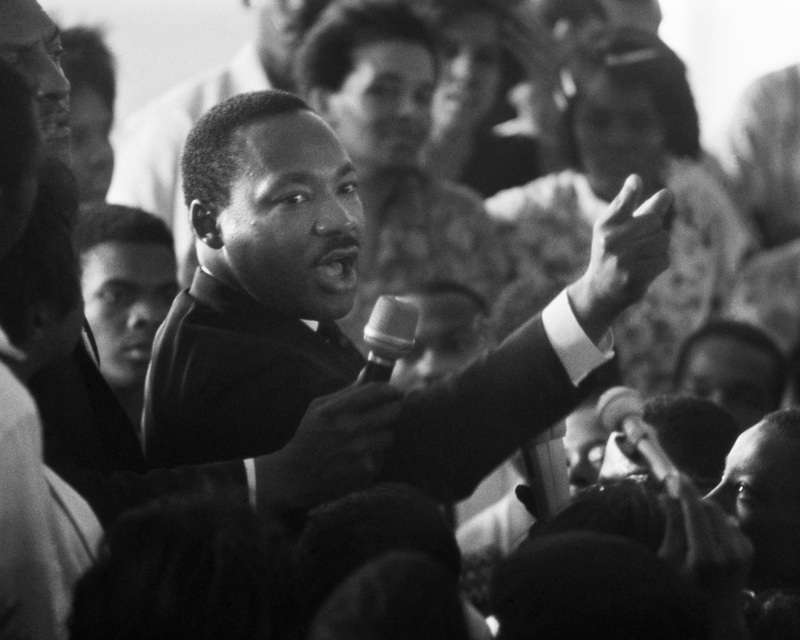 The following day she led another 150,000 in a funeral procession through the streets of Atlanta. 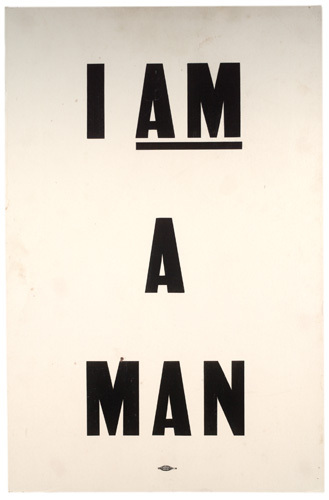 ”I Am A Man” was one of the slogans that marchers carried through the streets of Memphis following King’s death.